Harvard University and the University of North Carolina Chapel Hill are both being sued for allegedly discriminating against Asian-American students in their undergraduate admissions policies. The lawsuits claim Harvard and UNC’s race-based affirmative action policies hurt the admissions chances of Caucasian and Asian-American students. The lawsuit against Harvard claims it intentionally tries to limit the number of Asians in the attendance the same way it once limited the number of Jews at the school. The lawsuits were filed by Students for Fair Admissions, a newly formed nonprofit group. The group is made up of “students, parents, and others who believe that racial classifications and preferences in college admissions are unfair, unnecessary, and unconstitutional,” according to its website. 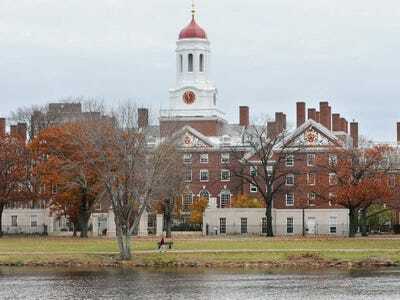 “Students for Fair Admission’s complaint highlights data and analysis that strongly suggests that white, African-American, and Hispanic applicants are given racial preferences over better qualified Asian-Americans applying for admission to Harvard,” the group said in a press release. There may be more affirmative action lawsuits filed against colleges in the near future. As the blog Legal Insurrection points out, the group is being represented by Consovoy McCarthy, the same law firm that represented Abigail Fisher in her Supreme Court challenge to the University of Texas undergraduate admissions policy. The US 5th Circuit Court of Appeals found in favour of the university this summer, a decision that will likely face an appeal from Fisher. In his seminal opinion in Regents of University of California v. Bakke, Justice Powell specially cited to the Harvard College admissions plan in describing a legally sound approach to admissions. Then and now, the College considers each applicant though an individualized, holistic review having the goal of creating a vibrant academic community that exposes students to a wide-range of differences: background, ideas, experiences, talents and aspirations. The University’s admissions processes remain fully compliant with all legal requirements and are essential to the pedagogical objectives that underlie Harvard’s educational mission. The University is aware of the suit filed today by the Project on Fair Representation. The University stands by its current undergraduate admissions policy and process. Further, the U.S. Department of Education’s Office for Civil Rights determined in 2012 that UNC-Chapel Hill’s use of race in the admissions process is consistent with federal law. As the University wrote in a 2012 amicus “friend of the court” brief in the U.S. Supreme Court case of Fisher v. University of Texas at Austin, the University continues to affirm the educational benefits diversity brings to students, as well as the importance of preparing students for a diverse society and assuring a pool of strong state leaders by admitting undergraduates from every background.